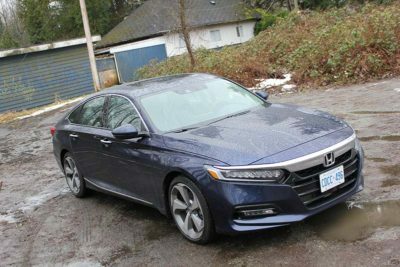 New for 2018: The Honda Accord has been completely redesigned for 2018 as it enters its 10th generation. 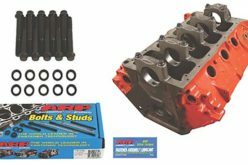 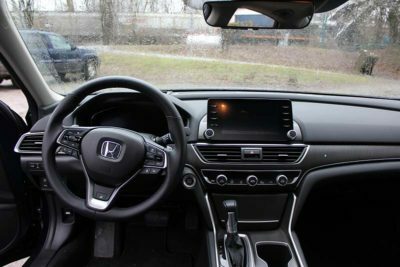 It features a bold, athletic new design and features a lighter more rigid body structure and an advanced new chassis design. 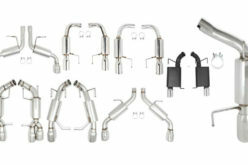 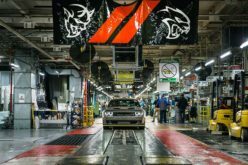 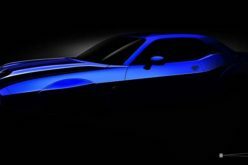 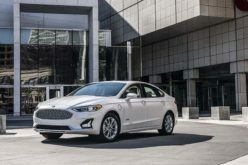 Two all-new four-cylinder turbocharged engines replace the outgoing V6 offerings, the larger option boasting the world’s first 10-speed automatic transmission on a front wheel drive car. 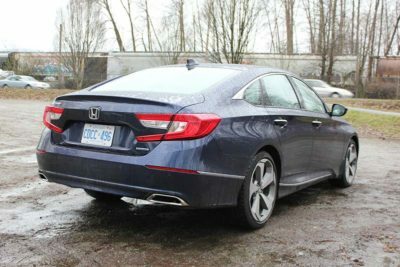 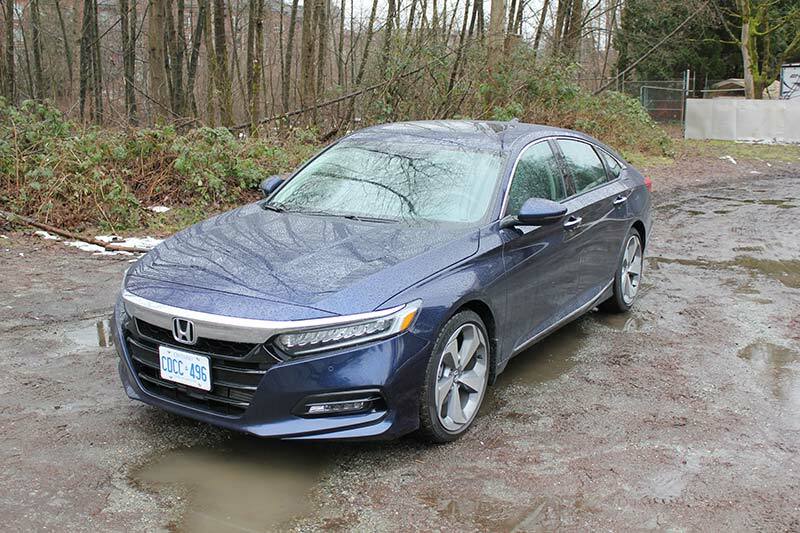 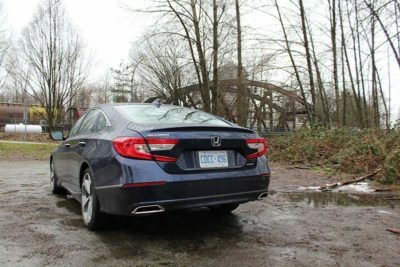 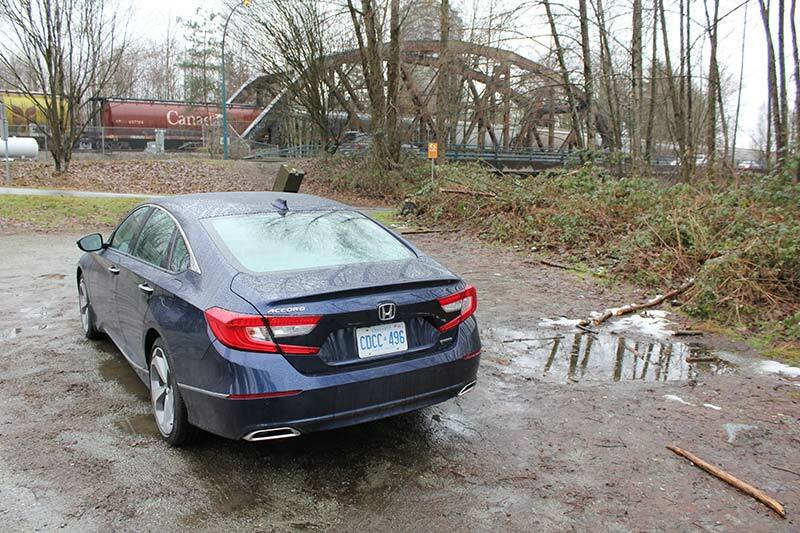 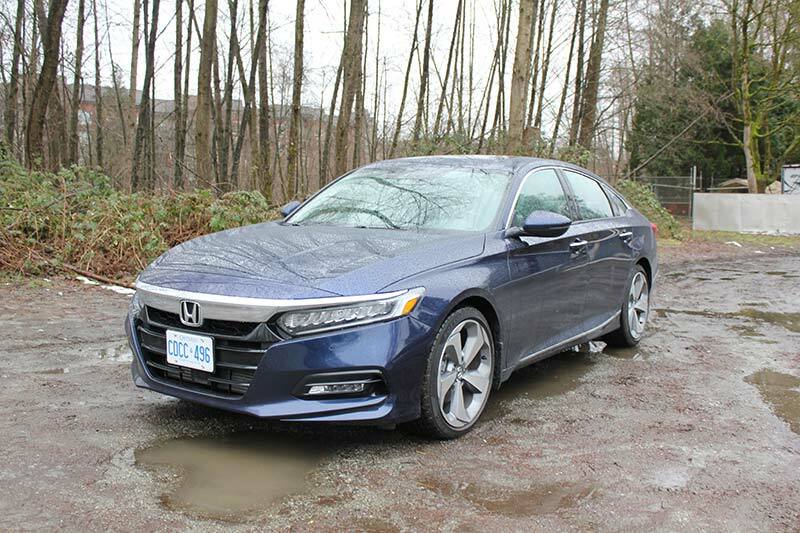 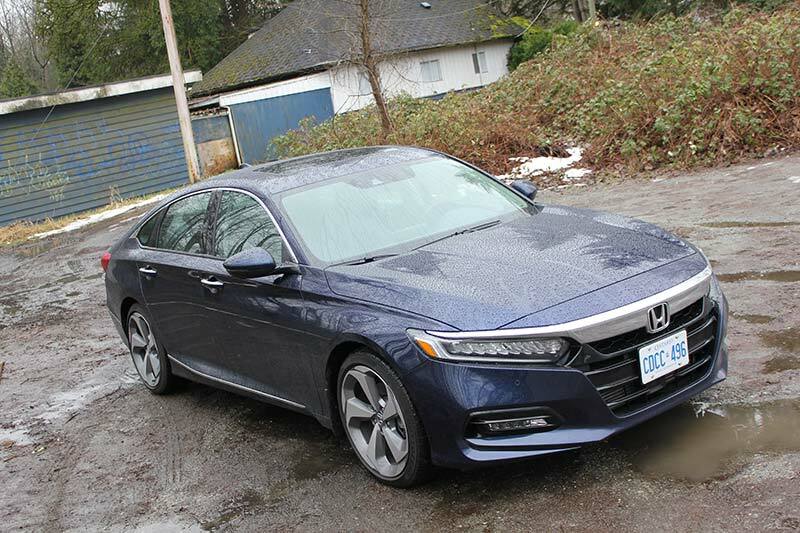 The Skinny: As mentioned, the Honda Accord has been completely redesigned for 2018 and has been very well received even going as far to be named AJAC’s Canadian Car of the Year for 2018. The new look has really gone above and beyond what some of its competitors offer while the newly designed interior is very easy to figure out and comes complete with a new infotainment system which was greatly needed. 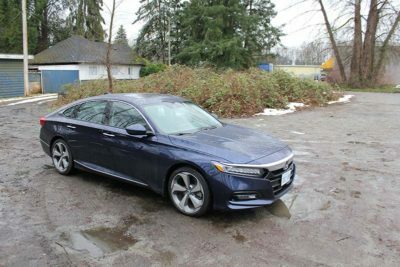 Surprisingly, despite having done this for a few years now, this was my first time behind the wheel of any Accord and I found myself quite impressed. 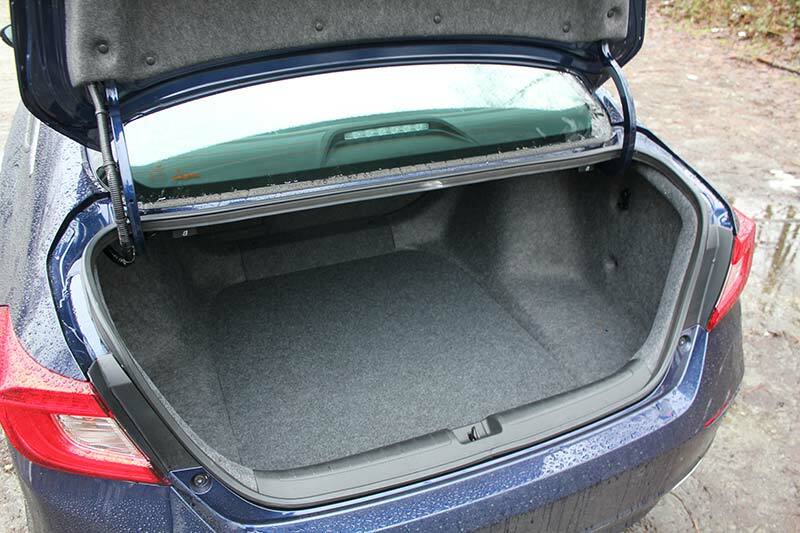 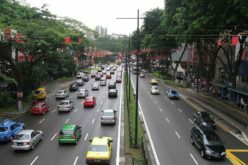 The car has plenty of room inside for both passengers and cargo and the driving experience was much more enjoyable than I was expecting. 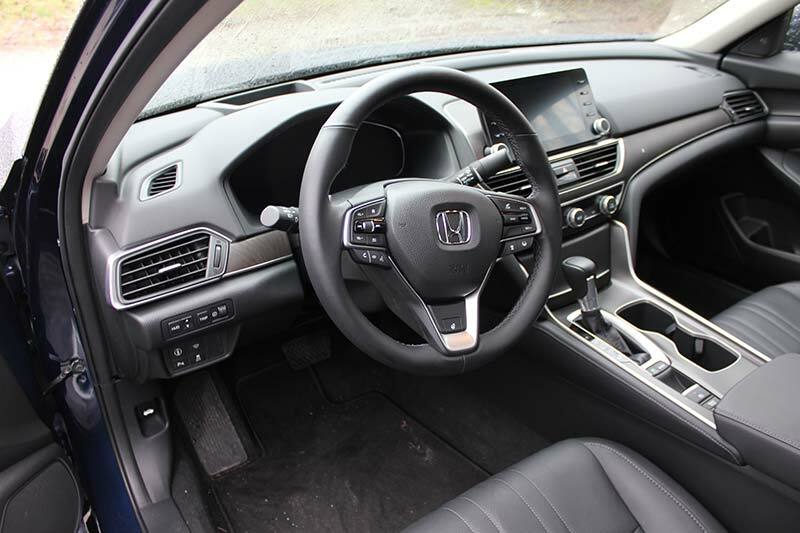 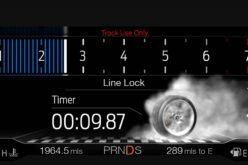 The new infotainment system is well-designed and easy to use, as are the dual-zone climate controls. 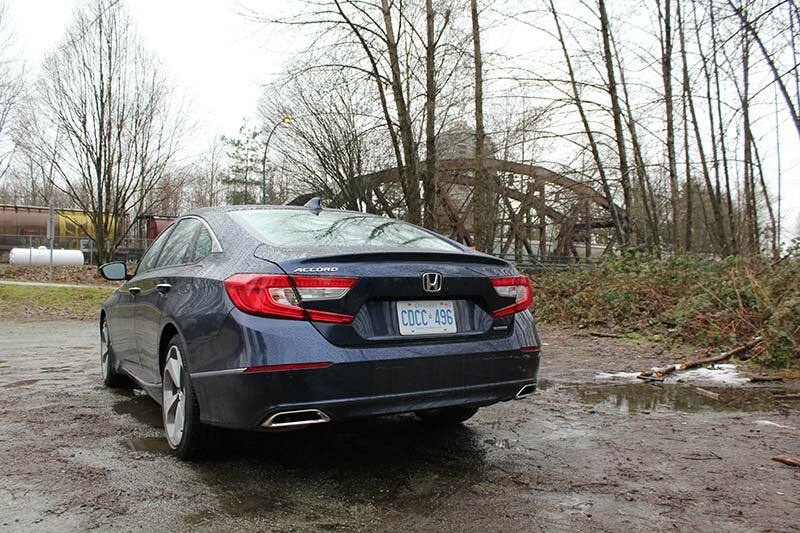 In terms of looks, this new Accord is the best looking example and offers a sense of luxury that I was not expecting. 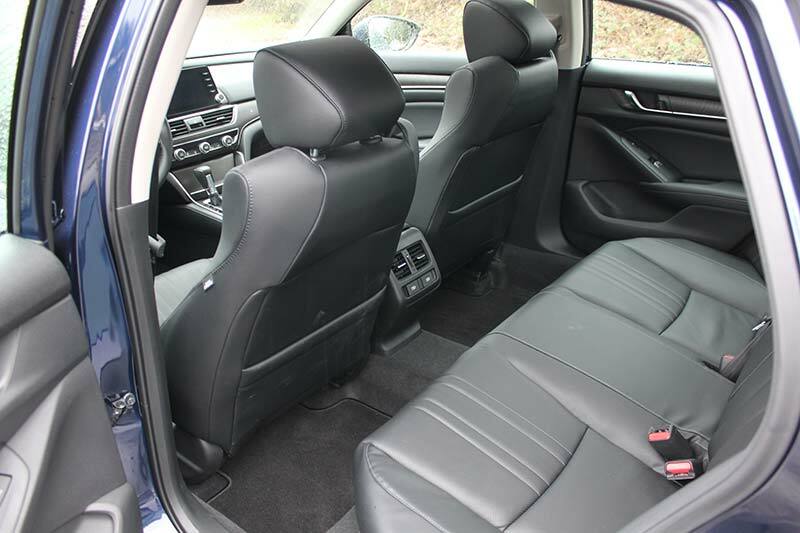 Pros: Being a taller person, I found the lower seating position to be a huge positive. 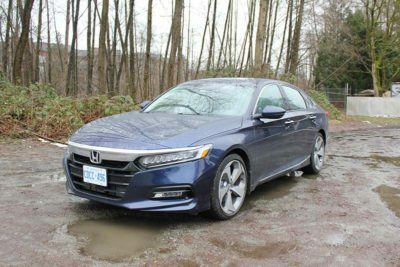 Also was quite impressed with the 1.5L turbocharged engine option and can only imagine that the more expensive 2.0L turbo is actually quite fun to drive. 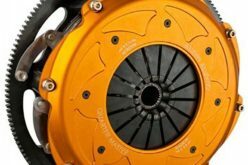 Cons: I still maintain that I am not a fan of CVT transmissions but I will say this is probably the best example of one that I have driven to date. 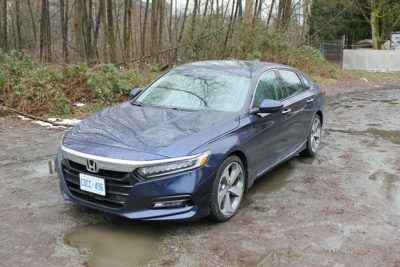 The Verdict: The mid-size sedan category is likely as competitive as it’s ever been with a large number of competitors in the class recently undergoing redesigns to offer what are probably the best examples of themselves that we’ve ever seen. 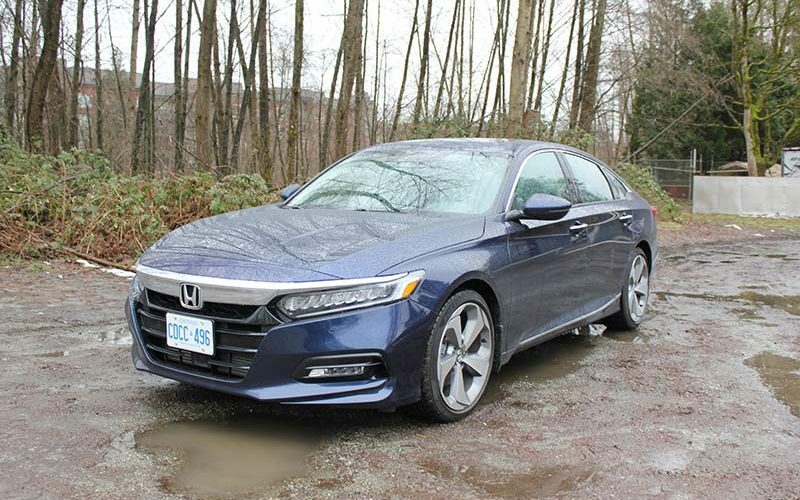 This clearly was not lost on Honda as the new Accord has taken home many awards since being introduced and from a first-hand account, is right on par if not better than other offerings. 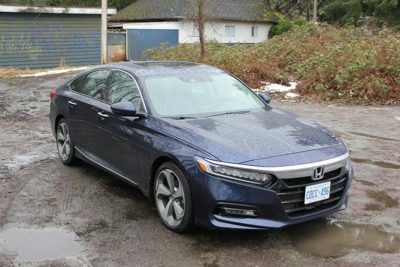 With a buzz generated by the awards and a reasonable price point, I would be quite surprised if the Accord did not achieve great success moving forward.